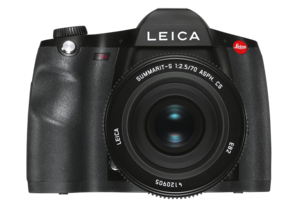 Keep your Leica S (Typ 007) at the cutting edge of the latest technical developments: This firmware update improves the performance of your Leica S (Typ 007), bringing you numerous new features and enhanced camera handling. Bug fix Under some circumstances the camera produced color patterns with the Leica Vario-Elmar-S 30–90 f/3.5–5.6 ASPH. You can quickly and easily download Firmware Update 5.0.0.0 for the Leica S (Typ 007). The instructions provided with the firmware update will safely guide you through the installation process. Bug fix Long press on the rear click wheel in Auto Review had no function. Now a long press on the rear click wheel in Auto Review leads to 100% zoom (short cut). Bug fix Sometimes a wrong exposure occurs after changing the lens. Bug fix Wrong focus position after lens initialization (e.g. after stand-by) is fixed. Bug fix Selftimer mode was not combined with Mirror Up. Note: Rating function is only available for pictures which are taken as of firmware version 4.0.0.0. Pictures which were taken with older firmware versions can not be rated. Big Fix An operational malfunction which occurred with previous FW 4.0.0.0: When the camera is switched to Live View Photo and then off again, it automatically restarts that mode after every following exposure. The only solution is to switch off the camera, remove the battery and then start again. The same happens with Live View Video and Video Record.